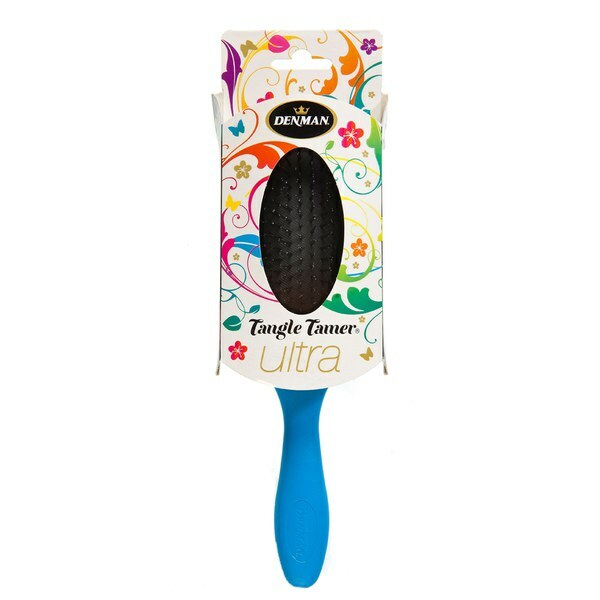 The Denman Tangle Tamer effortlessly removes knots and detangles hair without snagging. Suitable for use on hair extensions and wigs, the super soft nylon bristles glide through hair for pain-free styling. With an air-cushioned pad designed to follow the contour of your head, and dual-length, super-soft nylon bristles, the detangling brush offers ultimate comfort, gently smoothing out tangles with reduced pulling and tugging. Experience healthy-looking, smooth locks with enhanced shine. 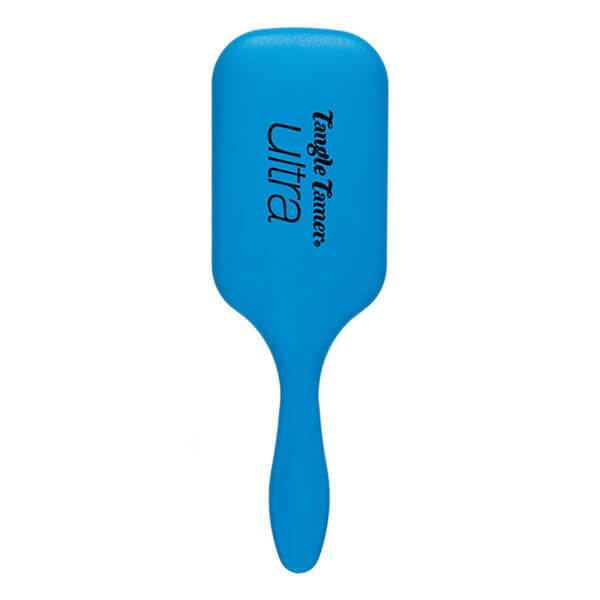 Can be used on both wet and dry hair. Perfect for kids, sensitive scalps and those with fragile hair.